Are Made in America Vending Machines Better? You Decide. Are Made in America vending machines really better? When you are purchasing a vending machine, should you be concerned with the origin of the machine? There are literally thousands of sites with vending machines for sale. We think that the best way to determine if you should buy a “Made in the U.S.A.” machine or a machine with origins outside the U.S. is to look at three different factors: cost, quality, and availability of parts. Typically, vending machines that are manufactured in the United States cost quite a bit more than vending machines that are made elsewhere. Does that make it a better machine? It’s your call. I was speaking with a friend recently. He said he’d rather buy things made in Japan than in the U.S. purely because they’re so much cheaper! You definitely pay a premium for having “Made in the U.S.A.” on your product. It may make you feel nostalgic and proud that you’re supporting your country. Does that label make it worth spending a lot of extra money? Does that label even mean anything? I went to the Federal Trade Commission website to find out. The Federal Trade Commission works for consumers to prevent fraudulent, deceptive, and unfair business practices. They also provide information to help spot, stop, and avoid them. 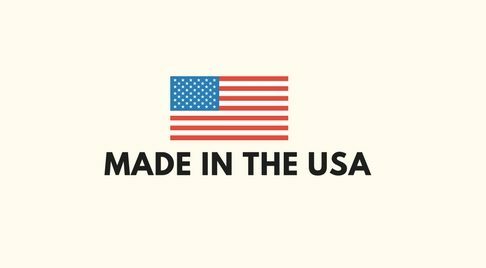 A company that makes a “Made in the USA” or other United States origin claim for its product must be able to prove that all or almost all of that product is made in the United States. Products with these labels shall contain virtually no material or components from other countries. 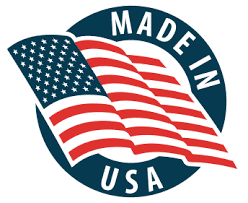 In general, products processed or finished in the USA that contain materials from other countries shall not be labeled “Made in the USA” without further explanation. They shall include qualifying statements near the claim that explain which components of the product come from the USA. A product that includes foreign components shall be called "Assembled in USA" without qualification when its principal assembly takes place in the U.S. If the assembly is substantial. For the "assembly" claim to be valid, the product’s last "substantial transformation" also shall occur in the U.S. That’s why a "screwdriver" assembly in the U.S. of foreign components into a final product at the end of the manufacturing process doesn’t usually qualify for the "Assembled in USA" claim. The labeling of “American-made products” is subject to no regulations. The Federal Trade Commission can prosecute companies that falsely label a product, but only after the label has been applied. They also can only prosecute when it has been brought to their attention that the product is mislabeled. The Commission does not pre-approve advertising or labeling claims. A company doesn’t need approval from the Commission before making a Made in USA claim. As with most other advertising claims, a manufacturer or marketer may make any claim as long as it is truthful and substantiated. Just having that “Made in the U.S.A.” sticker on their machine can increase the price you pay by several thousands of dollars. Moreover, it is no guarantee that a vending machine will run better than any of the other vending machines out there. Some, you could have purchased for less since they were manufactured in foreign countries. Is a vending machine made in China going to be a good, quality piece of equipment? Maybe. Or maybe not. It’s really up to you to do your homework and decide. These days nearly all of the world’s biggest brands either manufacture part or all of their products in Chinese factories. “Made in China” no longer inherently means cheap or inferior. An incredible amount of product is made in China. China’s economy and skill base has been growing strongly for the past 2 decades. The Chinese are becoming the new Japanese of manufacturing. Additionally, Japan has built skills, used technology and now produces some of the world’s best product. Lots of vending machine components are built in various parts of the world. Brazil makes great compressors! 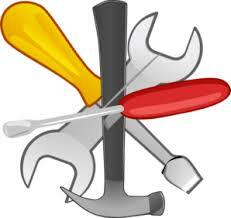 Your biggest concern should be whether or not you can obtain parts to service your machine. If you purchase a great machine at a discounted price and then can’t find the parts to repair your machine if needed- you’re really out of luck! You need a reputable company that has the parts you need when you need them, not necessarily a vending machine that comes from any certain country. We sell vending machines from around the world. Our Seaga machines are manufactured primarily in India, but assembled in the U.S. They are great machines and have been one of our most popular sellers. We also have machines from China that have been excellent machines. 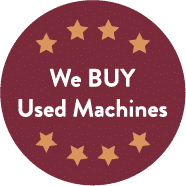 At The Discount Vending Store, we stock all the necessary parts for the machines we sell, whether the machine was made in the USA or abroad.